Deliver exceptional client experiences and streamline operations with automation software. 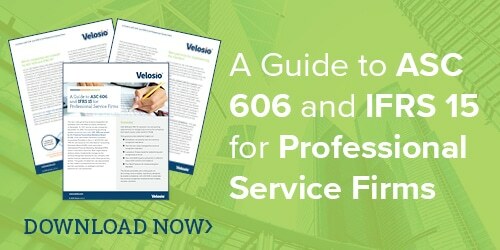 Velosio has been helping professional service firms grow with connected business applications for over 30 years. Grow your professional service business to new levels of productivity and performance with Microsoft business applications and Velosio. Connect your siloed systems and data. Create a single point of truth that provides the answers your employees need to deliver better service to your clients and more profitable projects for your business. Velosio offers three solutions that leverage Microsoft Dynamics 365 and other technologies so you can operate more efficiently and profitably. Progressus is the central business application for project-based businesses. It combines PSA, CRM, ERP, analytics, collaboration, and productivity into one, completely cloud-based system. Dynamics 365 F&O with AXIO for Professional Services is a global business software solution for large, complex, project centric firms. It’s regulatory compliant and, because it is based on Dynamics 365 (F&O), it works like familiar Microsoft business applications. Microsoft Dynamics 365 for PSA features project functionality that helps project-based organizations deliver customer engagements on time and within budget through an end-to-end solution for sales, planning, resourcing, delivery, and billing. Here’s an article about a unique approach to delivering value faster with an accelerated deployment process. Leveraging Microsoft Dynamics 365, Microsoft Azure, Microsoft Power BI and Microsoft Office 365, any size firm can deploy a truly unified professional services automation software solution, providing robust functionality for every business function and employee role.